Porter-Leath welcomed Books from Birth as its newest program on July 1, 2017. This amazing program promotes kindergarten readiness and strengthens family bonds in Shelby County by providing age-appropriate books for all children from birth to age five. Books from Birth formally organized in the summer of 2005 as the Shelby County affiliate of Dolly Parton's Imagination Library after a state-wide effort brought the Imagination Library to all children in Tennessee's 95 counties. 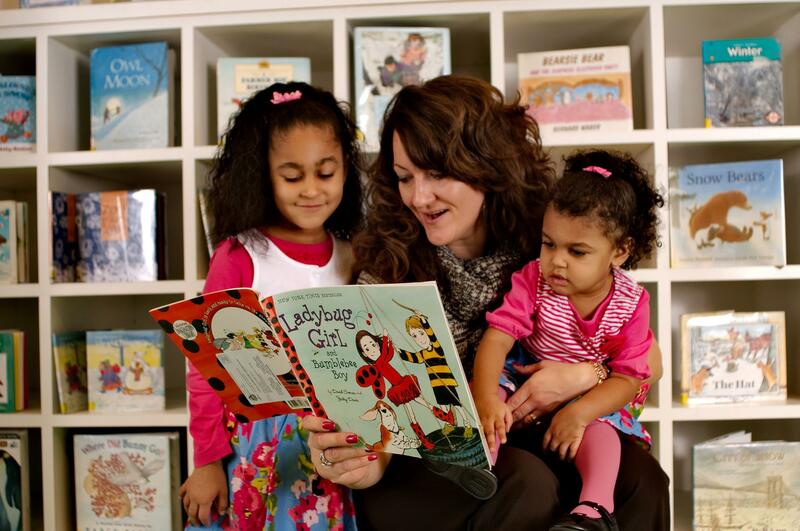 Books from Birth is currently the largest of 1,700 programs affiliated with Dolly Parton's Imagination Library. As an affilate of Dolly Parton's Imagination Library, Books from Birth is made possible through the generous support of the Dollywood Foundation, Governor's Books from Birth Foundation and private support. As you can see in this document, Books from Birth is only one part of a three pronged state-wide partnership. The Dollywood Foundation manages the selection, pricing and mailing of the books, while the Governor's Books from Birth Foundation provides a generous, annual state grant that covers half of the book and mailing cost. With these investments in place, Books from Birth can focus on securing financial support for half of the book cost and mailing, as well as, enrolling children in and promoting the Imagination Library program. Porter-Leath's Books from Birth program is grateful for the financial support from the following municipalities. Thank you for investing in children's literacy and family bonds! The estimated total annual cost of Books from Birth’s program is $34 per enrolled child. Our partner, Governor’s Books from Birth Foundation, covers one-half of the total monthly cost of the books and their mailing, about $13 per book per child. The remaining $21 per child must be raised locally.